“Core of Permaculture is Design, design is a connection between things”. Relative Location dictates the need for elements to be arranged so they can create functional interconnections. It is wonderful for a landscape to contain numerous elements such as pond, chickens, and trees, but if these elements do not interrelate in a beneficial way then we have not designed properly. Thus we diverge from our Cartesian and Newtonian ways from our upbringing into a more holistic way of design with Permaculture. 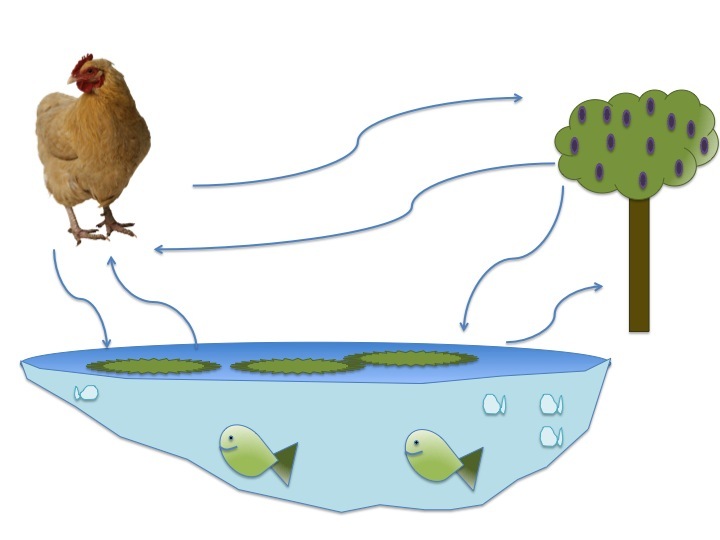 So if you examine the tree, the chicken, and the pond how can these elements actually interrelate we can learn about the principle of relative location. So with this we can examine and see that when placed accordingly the three elements all have beneficial relationships together. The mulberry tree can help to feed the chickens and fish from their dropping fruits while the chicken can fertilize the pond and the tree. The pond then has more biomass for lower trophic fish to consume while also duckweed will flourish on the top of the pond. THis can be scrapped off and feed to the chickens and has a high protein content including the amino acid lysine which helps to turn chicken eggs dark yellow or gold in their yoke. The pond then of course reflects light and provides moisture for the tree. THE KEY is that they are all placed next to each other and have access to each others outputs so they obtain their inputs directly and efficiently. In the functional analysis, one must examine the inputs, the outputs, and finally the intrinsic characteristics of the element itself. This helps to flush out the function of element and initiates the process of matching inputs and outputs together of your varying elements. Remember though that not all ponds are created equal nor the chicken that maybe on its banks. Thus intrinsic characteristic deals with its breed quite often or of other inherent qualities. For example with the pond, it could be a eutrophic pond (meaning it gets warmer and turns green due to algal growth) where as an oligotrophic pond (clear and have fewer nutrients) will have different outputs or the species that live within it. Similarly the chickens we find in Austria will be different than those we find in tropical Australia. This has to do with breeding of temperature tolerances and often leads into color. Moreover, chickens that have been breed for egg production are usually big birds and have great scratching and foraging tendencies. However, they are usually not great mothers and if you want to raise your own young, inserting some Bantam chickens in will help with brooding process. Decisively you can’t put six bantam chickens into a chicken tractor and expect the same results as a six Rhode Island Reds. 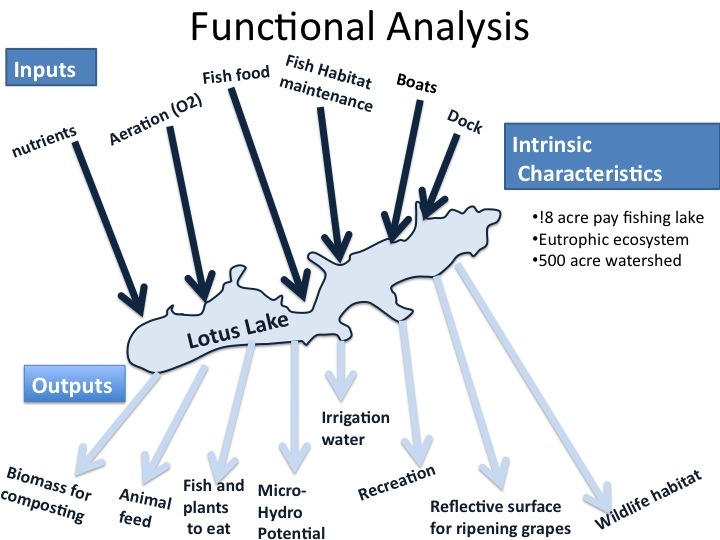 Thus by doing the research of functional analysis, a greater cultivated ecology (Permaculture site) will be created through a more diverse and complex food web. We must remember that Permaculture and the economy of business are not separate. We can gain more profitability in small businesses and clean up large businesses through embracing relative location. Below shows a graph of what the ZERI corporation was able to do with a brewing operation by matching inputs and outputs together. 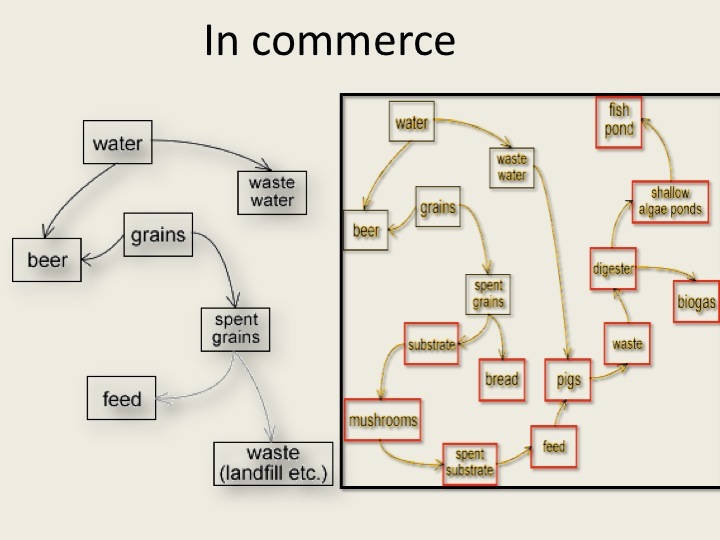 All the sudden with our food web being more complex, there is less waste and more products, employment, and ultimately profit being accrued. A couple of great resources for reading more about this is William McDonough’s book called Cradle to Cradle. Another favorite of mine is Gunter Pauli’s latest book called The Blue Economy. Here he presents many great opportunities of using waste streams as ways to increase sustainability in a diverse array of communities. Below you can see a scanned picture from this book which again details matching inputs and outputs. 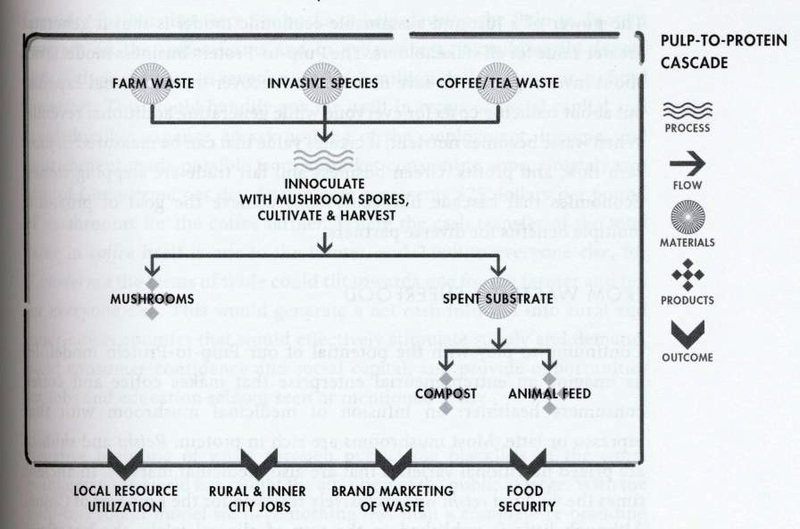 He calls it cascading nutrients which of course echoes another Permaculture Principle called Energy cycling. 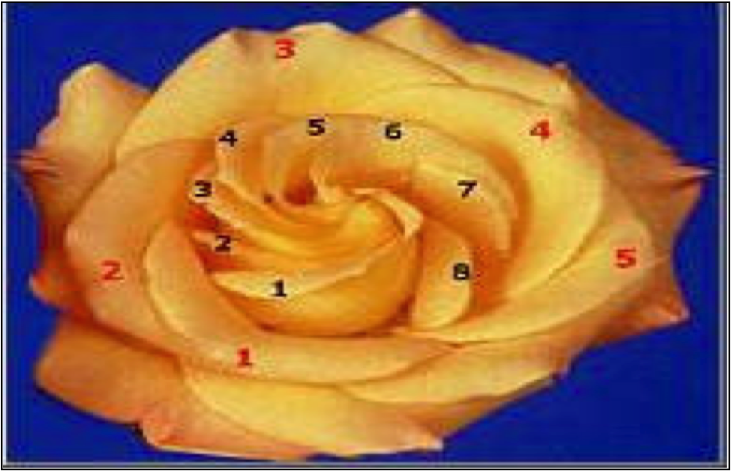 As we see the Permaculture principles are like petals of a rose, folded on top of each other, one spinning one direction, and others going the opposite, yet comprising what we call the rose. Pauli, G. (2010). The blue economy:10 years, 100 innovations, 100 million jobs. Taos, New Mexico: Paradise Publications.